The Central Power Plant is a highly efficient natural gas co-generation facility providing steam heat and electrical power to most central and medical campus buildings. The electricity is generated from steam that otherwise would be wasted, resulting in an overall efficiency of approximately 80 percent that is much higher than most power plants. 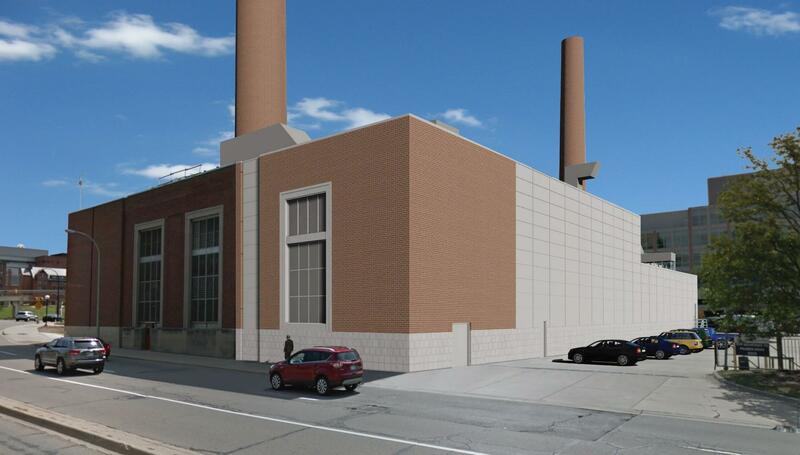 This project will construct a 12,000-gross-square-foot building addition to house a new 15-megawatt combustion turbine that will reduce the university’s greenhouse gas emissions by an estimated 80,000 tons per year. This reduction will be approximately halfway toward the university goal of reducing total emissions for the Ann Arbor campus by 25 percent by the year 2025. The project will incorporate all appropriate pollution control technologies, and the required air emissions permit for the project has been approved by the State of Michigan Department of Environmental Quality. We estimate a loss of approximately eight business and service parking spaces as a result of this project.